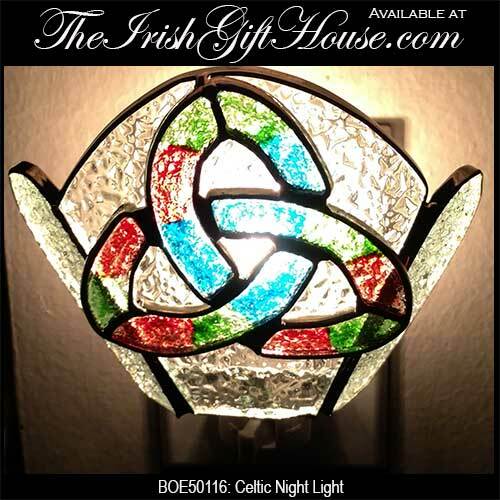 This Celtic night light features a stained glass Trinity knot. The UL listed Celtic night light features a standard socket with a power switch and a polarized plug. 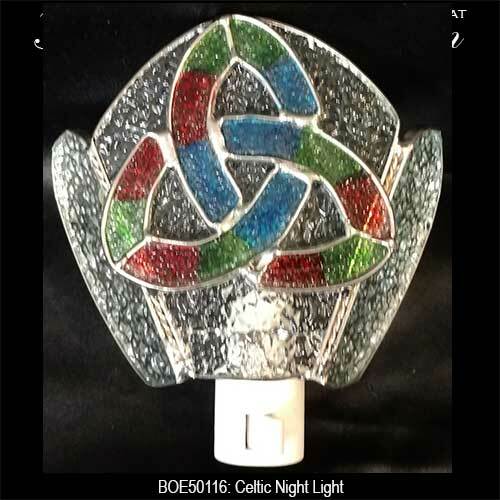 This Irish night light features a colorful stained glass Celtic knot that is superimposed over textured clear glass. The Celtic night light will provide decorative accent lighting or will safely illuminate a child's room. The stained glass Trinity night light with metal accents measures 4" wide x 5" tall and is gift boxed with a bulb and a Celtic knot history card.